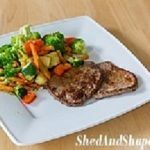 Home Keto diet What’s So Good About Grass-Fed Meat? What’s So Good About Grass-Fed Meat? If you’re following the ketogenic lifestyle, then you’re aware that it’s best to eat grass-fed meat. Some of the meats that are popular to eat among followers of the keto diet and other healthy diets are beef and lamb and even goat. Keto being a high-fat and moderate protein type of diet, adding grass-fed meat to your meals is a good idea. Meat from commercially reared animals is not as healthy. 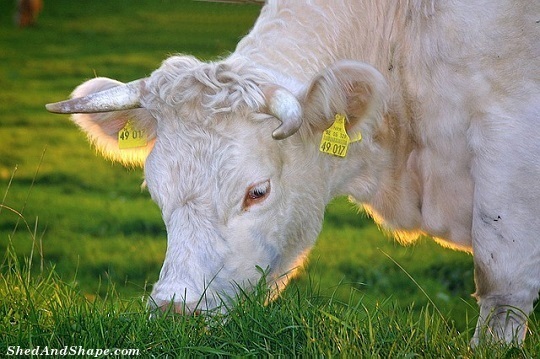 Grass-fed meat is obtained from animals that were fed with good quality grass. The manner in which the animals are fed has a huge impact on the meat’s nutrient composition. Remember that when it comes to food, it’s important that you consider its nutrient component. As for the meat, the main difference between them is what the animals were fed. Not all cows eat grass nowadays. More commonly, they eat corn. Cows have not been evolved to digest corn, but it’s become the basic feed of industrial agriculture livestock. And, most of that corn has been genetically modified. Is Pastured Meat the same as Grass-fed meat? I have to add a word or two about pastured meat because there can be some confusion between the two. Meat from pastured animals is not usually the same as grass -fed meat. While pasture-raised animals receive a good portion of their nutrition from grass pastures, they may also receive supplemental grains and/or soy both during the grazing season and winter months. Its always best to check if you want to eat meat that has been entirely grass fed. We all heard of the saying, “you are what you eat”. This is also applicable to cows. As mentioned, what the cows and other animals eat will have a major effect on their meat’s overall composition, most especially the fatty acid composition. 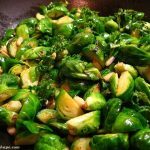 • Contains more antioxidants and vitamins including beta-carotene, Vitamins A and E.
• Has 3 times more Omega 3 fatty acids, which is good for the heart. • Loaded with conjugated linoleic acid (CLA) that has anti-inflammatory and weight loss benefits. Much grass-fed meat is also organic which means that the grass the animals eat is not sprayed with toxic pesticides. Given the heart health benefits stated above, the grass-fed beef and other grass fed meat is definitely a much better option compared to other types of meat on the market. However, the biggest disadvantage is the cost. The meat is generally more expensive. But if you don’t mind spending a bit more, then it’s definitely worth giving a try. It’s also worth noting that the meat has a slightly different flavor compared to what you may be used to. While others find it more delicious, there are some who find it unappetizing. In the end, it’s important that you choose the kind of meat that you can afford and with a taste that you really like. Besides, going on a keto diet does not mean depriving yourself of delicious foods and spending beyond your means! Next articleWhat Are The Best Low Carb Alcoholic Drinks? 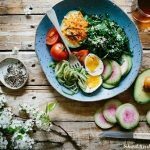 Does Low Carb Dieting Result In Successful Weight Loss? What are Power Bowls and How to Make Them Keto?